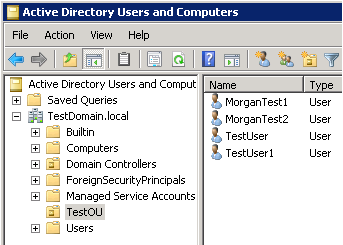 You can use the Active Directory module's cmdlet New-ADUser to create new AD user. Any idea what may be wrong, many thanks in advance for any insight. per the Microsoft .NET Framework 3.0 SDK documentation and inspect the server trace logs. Please help me, here is the script. $userPrincinpal = $_. "samAccountName" + "@corp.frk.com"
Hi, these scripts seem straight forward, thanks. Is it possible to use them with the -whatif cmdlet ? If so, where should the -whatif be placed ? Hi friend, to achieve your need, you should write above script as Function and call the function with -whatif parameter. Is there a way that this script can add "groups" as well that these users will be assigned to? hi, can u send ur complete script? Hello, Please help me. I am using this script to setup bulk AD Accounts. -Name is not recognised. Here are the 2 ways of scripts i used. Hi naveen, you script is working fine in my environment. Can you confirm whether Active Directory powershell module successfully loaded in your end?. Hi. Would it be possible to add more attributes, such as Description and Employee ID? I have several fields that I need to populate, thanks. Worked like a charm. 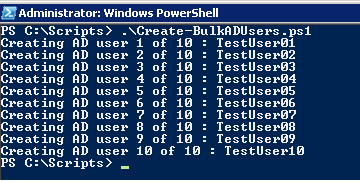 Remember to run powershell as admin. Thank You Morgan you Rock!